It's a no-brainer that in order to get people to your site, they need to click through your link in social media or at the bottom of a guest post or in your social media first. But before that, they need to have a reason to click through. So let's back up and look at the 3 most important things your article needs to have in order to get more “click thrus”. To put it another way, you want a great headline that will interest a person enough to want to read your post. Then you need a good first paragraph that entices the reader to really read the article. And, you need to end with a compelling call to action that makes the reader want to click your link. Certainly you should include your keywords in the title to help search engine traffic find your article, but your headline, or your title, should be more than that. The title's most important job is to get people interested in reading the article. Think about making the title eye-catching, humorous, emotionally appealing, curiosity-arousing, attention-getting, a bit outrageous, and certainly NOT boring. And use words in your headline like these: how to, question, tips, numbers, story, the benefit, secret, the truth, the cure for, or mistakes. You've only got a couple sentences, at most, to really get the reader's attention before he's lost interest and has moved on. So when writing the article or post you'll probably want to put a lot of effort into a great first paragraph. or use some other technique that draws us in.That's what you want to do with your article. I would caution however, that you should never make claims you can't follow through on. It's ok to be crazy and even outrageous occasionally, but don't compromise your honesty and authenticity in the process. When you write your biography for a guest post or a contributor post, you should always include a call to action. Don't give them details about you and only include your website. Invite them to come to your site and offer them something they value for free. And when you're on your own site, don't introduce yourself without also giving them a chance to learn more, subscribe, buy, etc. What would motivate them to click thru to your site? Are you giving something away for free? Are you selling something they need? Make it clear, easy, and irresistible. Take a look at other successful bloggers or internet marketers' bios to get some examples of what works. If theirs moves you to action, chances are if you write something similar it will move others to action. Lastly, it's a great idea to test your bio. Sometimes you need more creative wording, or sometimes a better offer, but you won't know until you test it. I'm learning more and more every day just how important it is to analyze everything you do, tweaking where you can for better results. If something you're doing is not getting you the desired result, change it up. As with anything, the more you do it, the better you'll get. 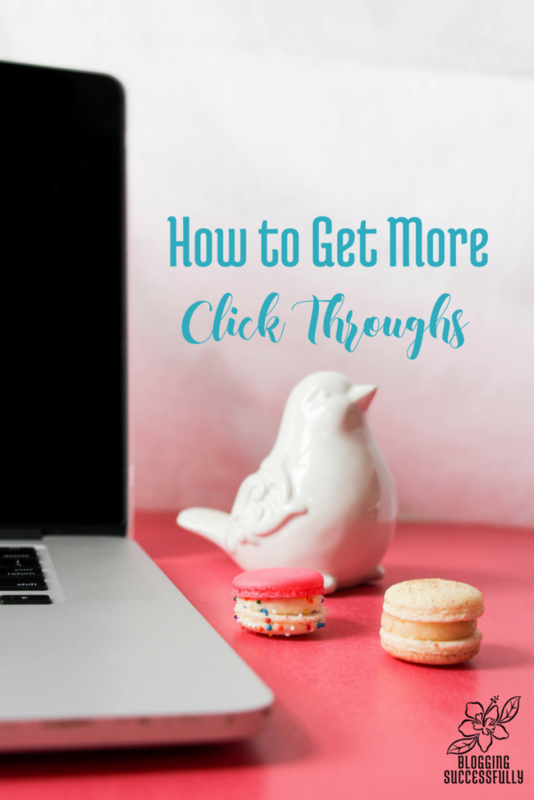 Concentrating on these three areas; the title, opening paragraph and bio, whenever you write an article or post should help your increase your click thru rates. Have you tracked your click through rates with different strategies? We'd love to hear what is working for you. Please leave us a comment, and don't forget to subscribe to our newsletter for more great tips for success! This was great. I definitely need to work on catchy titles as I tend to throw a generic title up there and run with it. My most clicked articles are the ones with titles that I spent time developing. How you package and present the post is super important.